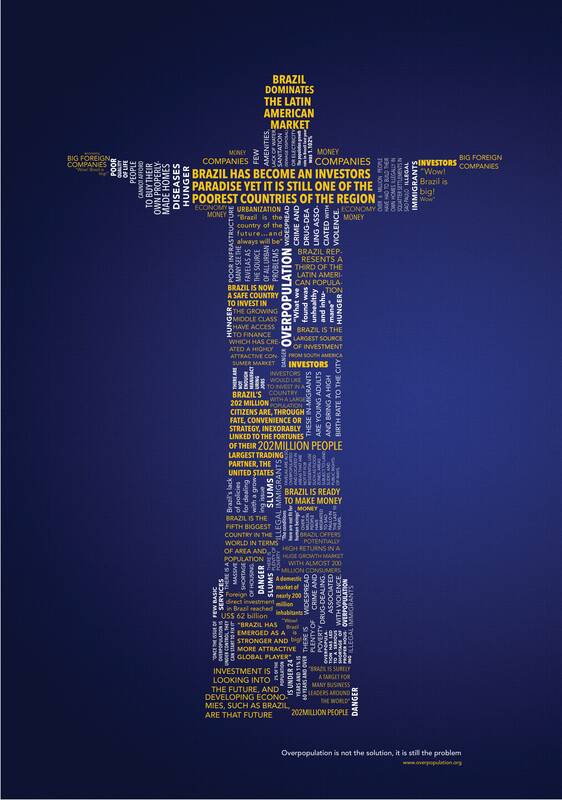 This poster shows the social issue of overpopulation in Brazil representing an important problem for the South America region. 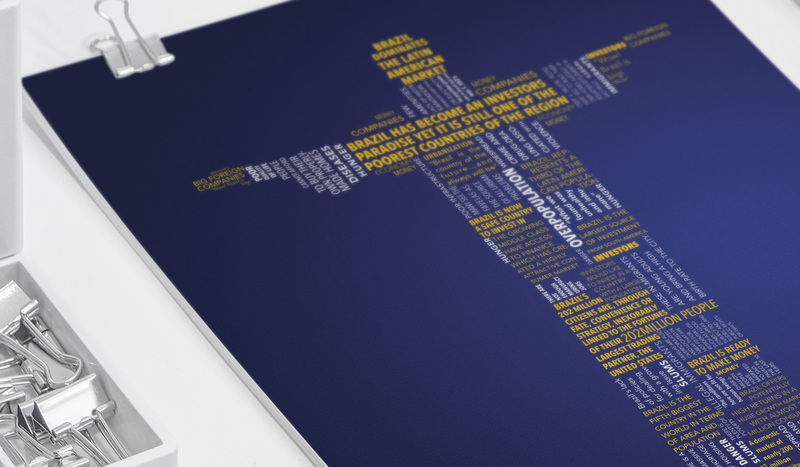 As a solution to combine type and imageI decided to use Inversion, where the letterforms construct the image. To show both sides of the issue I decided to use two different colors and orientations for the type. The positive side of overpopulation is shown in yellow type with horizontal orientation, while the negative effects of overpopulation are shown in white type with vertical orientation. 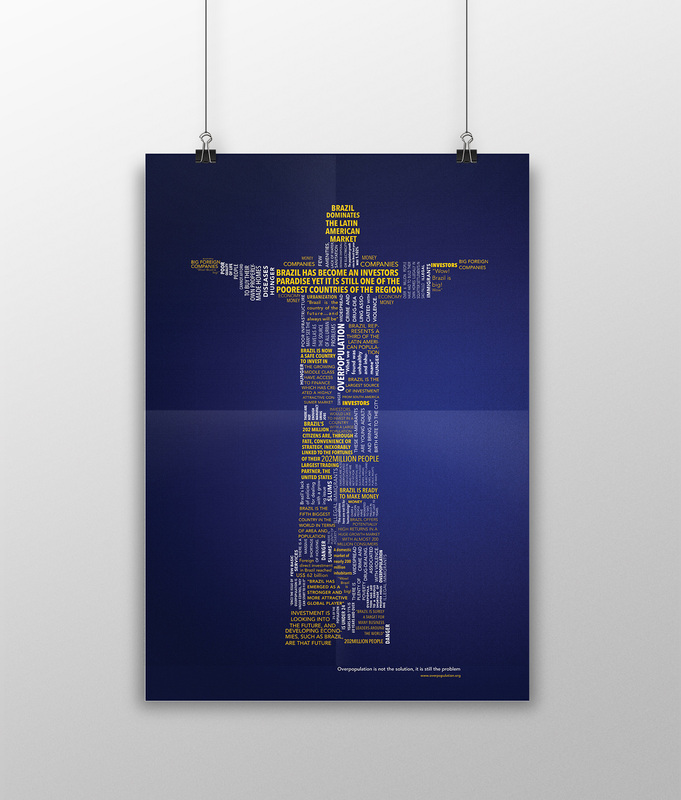 As it is shown in the poster, the type also makes the image of the Christ the Redeemer, an iconic symbol of this South American country.